The new iPad Pro has a Liquid Retina display. Flirting with buying the brand new iPad Pro? The big question for most is whether the latest Apple device will get the job done. First things first: At $799 to start for an 11-inch model and 64GB and $999 on up for the 12.9-inch version I’ve been testing, the newest power-user tablet unquestionably is Apple’s best iPad yet. It’s also the most expensive by a wide margin, especially if you pile on the accessories most of you will need or crave – notably the $129 Apple Pencil stylus and a $179 or $199 Smart Keyboard Folio. Max out on storage (1-terabyte), choose a model with cellular, pick up the Pencil, keyboard and other accessories and you’re spending – yikes – considerably more than $2,000. That’s a small ransom. To figure out whether it’s worth it to you, you first have to consider: What will you need it for? Since Apple often compares iPads to a variety of different devices, let’s examine how the new 12.9-inch Pro stacks up in a head-to-head matchup against other potential options. It’s no secret Apple promotes the iPad as a stand-in for a laptop. Apple CEO Tim Cook pointed out at a launch event for both products in Brooklyn, New York, last week that iPads have outsold all the notebooks from rivals in the past year and that iPads are faster than 92 percent of the laptops sold during that time. Cook was talking about competition from Windows PC vendors, not Apple’s own new notebook, but the not-so-subtle suggestion is that the iPad Pro could probably sub for or replace any laptop. The new iPad Pro has plenty of oomph, thanks to an A12 Bionic chip that is a speed demon. The graphics are splendid, too. And the USB-C port on the iPad Pro – yep, it’s on the new MacBook Air, too – connects to a gaggle of devices, including external displays and power chargers. • Dongles and external devices: Be prepared to pony up more cash for the dongles you’ll need to deal with this new USB-C port ecosystem. It’s no coincidence Apple included a few such dongles with my review unit, including one that lets you connect a pair of corded headphones to the tablet now that the standard headphone jack is gone, just as it has disappeared on iPhones. 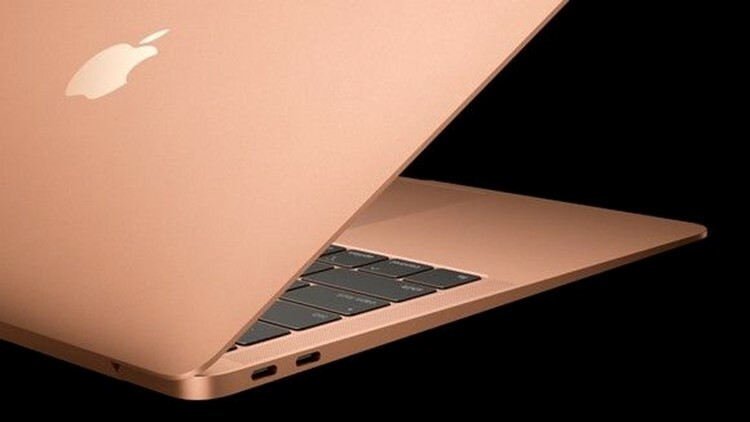 Apple retained the jack on the MacBook Air. Here’s another bummer. Because of software incompatibilities, you cannot connect external storage drives to the iPad Pro via USB-C because the tablet can’t decipher any of the files on the drive. Score one for your regular laptop. • Bye-bye, tangle of cables: In going with USB-C on both the iPad Pro and MacBook Air, Apple also said so long to the Lightning port on the Pro and regular USB on the MacBook Air. That may mean at least semiretirement for the many cords and adapters you’ve been using for years. 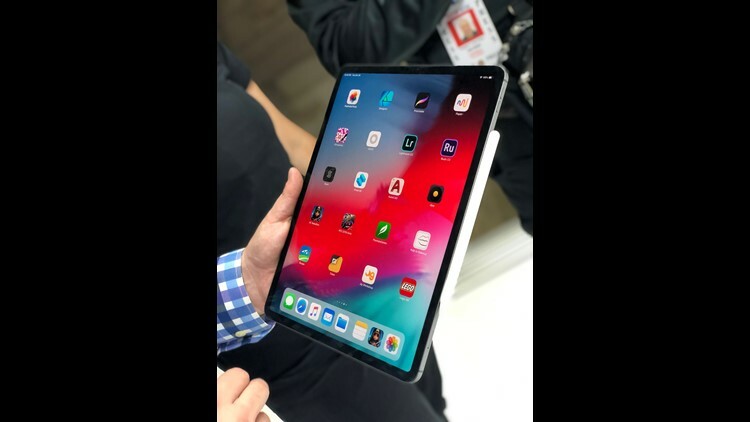 • Face vs. Touch: The iPad Pro also followed the lead of the recent iPhones in ridding itself of the home button and the Touch ID fingerprint sensor in favor of Face ID facial recognition. The learning curve is minor. In this alternate universe, the new MacBook Air doesn’t have Face ID, but it does sport Touch ID. • The screen: A quick word about the beautiful high-resolution displays you’ll find on both Apple devices. The screen on the iPad Pro, as with other iPads, relies on the touch-friendly iOS 12 operating system; the new MacBook Air as with all other Macs, lacks a touch screen. In making your tablet or laptop choice, that is something to consider. • Getting creative: If you are an artist or architect or other creative professional, your best option likely is the iPad Pro because you can draw or write with the optional pencil. If you want such a capability on a more traditional laptop, consider any number of Windows 10 notebooks that support touch computing, since that is not a stunt for the MacBook Air. • Size: Both the iPad Pro and MacBook are obviously thin and small enough to travel with. But if you’re looking to lighten the load in your backpack, the iPad Pro at a little more than a pound comes out your winner. • Typing options: The reverse is true if your primary decision rests with the keyboard. Whatever you think of the butterfly-style keyboard on the Air – I think it’s fine; not everyone will agree – it is better than the keyboard found on the optional Smart Keyboard Folio. And the Folio doesn’t have a trackpad either, while the one on the Air is silky smooth and more spacious. • Keyboard cover: A quick note about some improvements Apple made to the Smart Keyboard Folio for the iPad Pro, which doubles as a protective cover. That cover now protects both sides of the tablet. It is also slightly more versatile in that you can prop up the iPad with the cover from two viewing angles. But other tablet/laptop hybrids – I’m thinking Microsoft’s Surface Pro and Google’s upcoming Pixel Slate – let you stand up the devices from infinite angles. • My bottom line: This is a terrific iPad for those of you who need the tablet, but for most computing tasks, stick with a laptop. 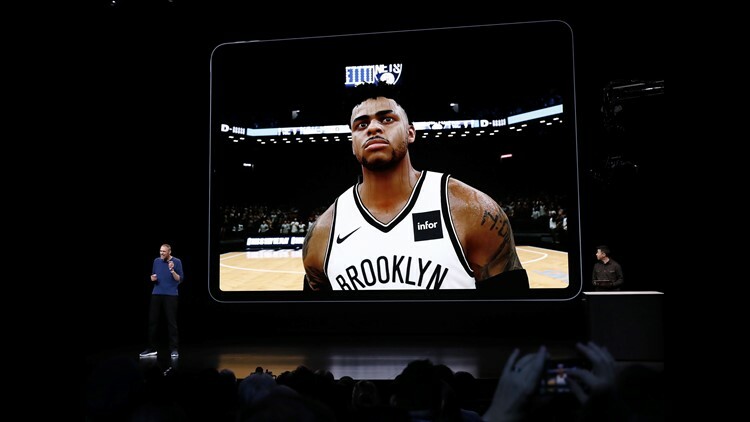 President of 2K Sports, Greg Thomas, speaks about the new iPad Pro during an Apple special event at the Howard Gilman Opera House at the Brooklyn Academy of Music before the start of an Apple event in New York, Tuesday, Oct. 30, 2018. From a technical standpoint, this may be true, but the claim still feels like a stretch. Even among gamers, anyone spending this much money for an iPad is going to do so for a host of other reasons. All this aside – and I’m more of a casual gamer than a junkie – I was impressed with the visuals, textures and smooth animations during my own go at “NBA2K19.” The 12.9-inch display provides a generous-sized window into the action, with fairly detailed graphics covering everything from the tattoos on players arms to the cheering spectators in the arena dressed up in hometown fan gear. I played using thumbs, not a great substitute for an actual game controller, but had fun just the same – even if the LeBron James-led Los Angeles Lakers team I controlled got thumped by a Denver Nuggets team. Switching pastimes, I also enjoyed steering cars by tilting the iPad Pro every which way to race inside the "Gear Club" app. • My bottom line: Yes, we get that it’s almost silly to suggest that the gaming experience on an iPad is going to match that of an Xbox connected to the wall-sized TV in your home. That said, the games I tried were fun and looked great. But if you're looking exclusively for a dedicated gaming experience – without all the iPad bells and whistles – you may want to stick with a console or portable option such as the Nintendo Switch, or even play on your smartphone or PC. A person using an iPad at a school room desk. As I mentioned above, the latest iPad Pro is the greatest iPad to date. But it being the best of the lot doesn’t mean it is the best iPad for you. All current iPads run the same iOS 12 software, so the steep bump up in price mostly has to do with speed, performance, screen size and quality, and storage capacities, which may be overkill for many of you. Apple’s tablet lineup is pretty broad these days, with an entry level $329 (on up) model with a 9.7-inch display and 32GB of storage that is a perfectly fine choice for the students it was originally pitched to. This iPad even supports a version of the Apple Pencil that used to be reserved just for Pro models. (Important note: We’re talking about the older $99 Pencil, not the newer magnetic variety introduced with the new iPad Pro). 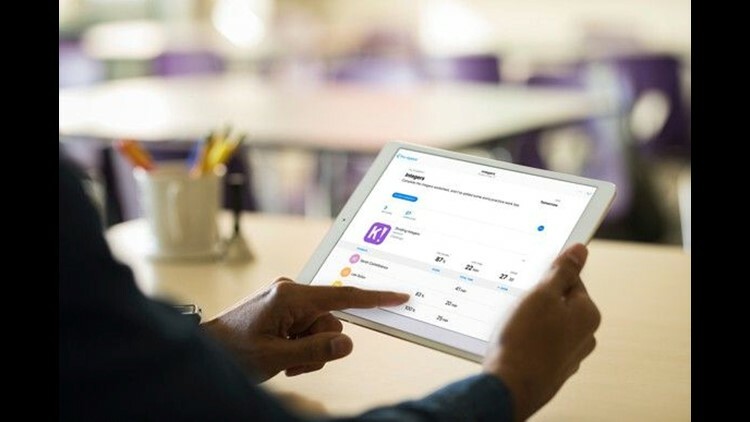 • My bottom line: If you do need a more robust tablet but don’t want to go all in on the latest models, you can still get an older generation iPad Pro for the last generation Apple Pencil. And Apple stills sells a perfectly capable and an older 10.5-inch mode for $649 on up. Did you buy or try the iPad? Tell us what you think.